Basil A. Baker was born in Washington, D.C., and moved to Flint, Michigan, where he graduated from Flint Central High School. He attended Denison University, graduating with Honors in 1965. After graduating from the University of Michigan Law School in 1969, he served in the U.S. Army in Vietnam, receiving numerous decorations, including the Bronze Star Medal. In 1971, Mr. Baker joined the Washtenaw County Prosecutors office and later became a First Assistant Prosecutor. His responsibilities were divided between corporate duties (contracts, civil matters, labor negotiations, and research) and criminal matters (prosecution of felonies and misdemeanors, preparation and oral argument before the Michigan Court of Appeals and Michigan Supreme Court, and supervision of attorneys and staff assigned to the 15th District Court). After leaving the prosecutor’s office, Mr. Baker worked as an associate or partner for Ann Arbor law firms, and in 2008, he became managing partner of the firm now known as Baker & Meisel, LLP. The firm is engaged in the general practice of law, with an emphasis on matters pertaining to domestic relations, criminal defense, civil litigation, real estate, probate, and business organization. Mr. Baker has served as a domestic relations mediator and civil arbitrator for contract matters. 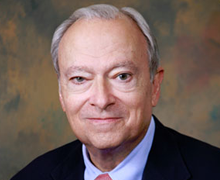 Basil Baker was awarded the “Professionalism and Civility in the Practice of Law” award by his peers in the Washtenaw County Bar Association in 2007.